Can I remove the DaCast logo on a free trial account? 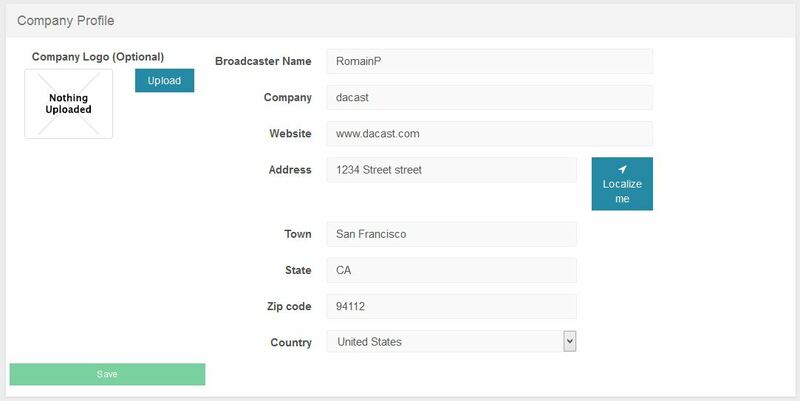 To remove the DaCast logo from appearing on your streams, you will need to upload either your own logo or a blank image (transparent) to stop this from occurring. To do this, after logging in DaCast’s BackOffice, click on “Account” on the left, and then on “Company Profile”. You can then upload a company logo that will be used in place of the default DaCast one.